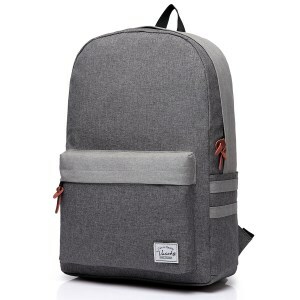 Backpacks for teenagers nowadays come in a variety of shapes and sizes, and they are made to fit everyone’s tastes and preferences. With the broad array of products available out there, you may end up feeling a bit baffled as to which one you should pick. To make your life a bit easier, we’ve put together a selection of some of the coolest and most popular units that we were able to track down. Some of these are eye-catching while others are a bit more somber, so pick the one that you know will go best with the teen you’re getting it for. One backpack to fit a modern lifestyle? Vaschy’s unisex classic water-resistant school rucksack could be your perfect choice. The sleek design is made of the finest polyester available and comes in various color combinations to suit your aesthetics. No matter if we are talking about traveling, school activities or carrying your items around, with this backpack your belongings are safe and sound. This is due to its high-quality waterproof materials and the heavy-duty smooth SBS zipper. The bi-compartmental design, plus the front pocket, ensure that you can organize and fit all your items in the backpack. And the ideal dimensions guarantee your back will barely feel the load. So, all you have to do now is pack and go! If you want to make a statement, this stylish backpack could be your solution. The carefully chosen cotton or canvas, combined with the chic leather are bound to make you noticed. All about the concept of this bag says premium. Yet the premium design and modern colors do not sacrifice functionality. It has all the space you need for your books, wallet, phone and all the other needs of a busy individual. And with the three front pockets, this bag can transform into your everyday companion for school, gym or even new travel adventures. This product is truly an all-purpose option. So, you want to be different? How about rocking the 936Plus Backpack? Coming in bold colors like turquoise, navy or even rainbow stripes, this backpack will turn a few heads. The durable polyester is matched by a very strong zipper, and with all the room you have inside it, you will never run out of space for your belongings. It even features a special place for your phone or your water bottle. And as an extra, the lightweight construction is designed with comfort in mind due to its ergonomic padded shoulder straps and the back panel for pain relief. Why have one when you can have three? 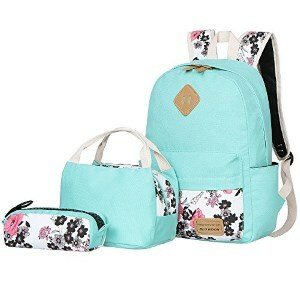 AIQI’s Canvas Backpack comes with a purse and a pouch as extra features. You can accessorize your outfit with any of them, depending on what you need. What’s even better? That it comes in a plethora of different colors and cool patterns. The ergonomic design made from waterproof nylon is not only resilient even in bad weather, but it’s also antibacterial. And to all of that add the large capacity and the useful front pockets, and you have a great choice when it comes to sturdy backpacks. One word to describe this backpack is fun. The vivid pictures are a feast for the eyes of an animal lover. Kids and teens will adore it and will want to wear it all the time. The compact body features a sturdy zipper and two compartments that can house anything from books to gym gear. The material choice is made keeping an active lifestyle in mind. The 300d polyester is a very light yet strong material that could survive any kind of adventure. This is the backpack to show off! It’s fun and young and will make packing not a chore but a fun activity. SQLP’s backpack is a product that combines a sleek design with utility. The fresh color scheme and the simple lines are easy on the eyes and easy to match to any outfit. It has been equipped with a USB charging port so you will never run out of battery if you connect your external storage to it. The materials chosen for this product are top of the line: waterproof Oxford cloth for durability and foam padding for extra protection. It boasts two side pockets for water bottles, a front pocket and it comes with plenty of room to store even large items like a 15-inch laptop. This set comes with a trendy design. 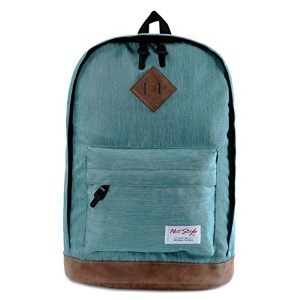 The vibrant colors, quirky patterns, and tear resistant canvas are what makes this backpack stand out from the rest. The extras are a lunch box and a pencil case made with the same dedication to detail as the backpack, all so you can have even more room for your stuff. 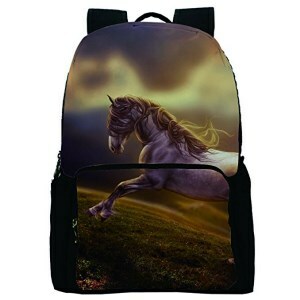 With this backpack your belongings are safe. The canvas is resistant even with risqué outdoor activities such as hiking, it feels comfortable around your shoulders, and the inner compartmental structure will help you stay organized. All you should do now is choose your favorite model and start getting noticed for your good taste in fashion. This product sure is unique. It rocks a high-quality 3D pattern on the front that is only matched by its smooth double zippers. The colors are bold, and the illustrations are refreshing and bound to make a statement wherever you go. The interior is spacious. It even has a dedicated laptop compartment, and the high-quality polyester can make you walk safely, knowing your belongings are not going to be damaged. The adjustable padded shoulder straps are added for carrying comfort. You can take this backpack wherever you go, even on long trips and you won’t feel the weight of it. It’s funny, personalized and eye-catching and could make a good choice for a quirky young person. Did someone say daring? Because that’s what this polyester backpack is. 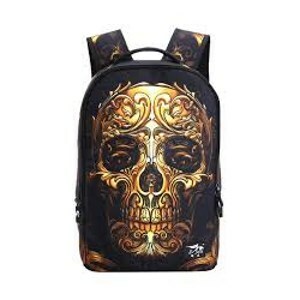 The front is decorated with a bold skull graphic, printed in awesome colors and with resistant ink. 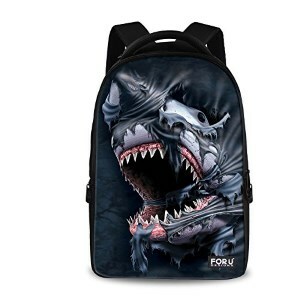 The art is funky, yet the backpack is comfortable to carry. This is due to its ergonomic design that fits well on the curvature of the spine. The straps are built with sponge material so your shoulders won’t feel the load and the smooth zipper will make unpacking a joy. It is roomy, so you never have to sacrifice any of your favorite items when you are going on a trip. All of these benefits make the product a great choice when it comes to backpacks for everyday use. 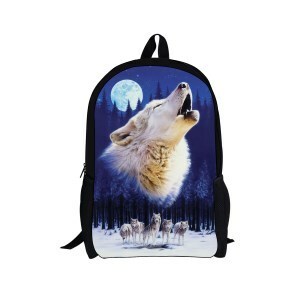 This backpack is for an animal lover or for a future animal rights activist. The front has an adorable animal image on it, which is not only cute but the print is also high quality. It can resist to repeated washing and not fade away. The keyword when it comes to materials is breathable. The polyester and nylon combination will repel any bad smell and still feel good to touch or on your back. It is spacious, it has two side pockets for water bottles or your sunglasses and the interior features a dedicated compartment for your laptop. This unit could not only be your everyday companion but also a reliable travel necessity when it comes to new adventures. A backpack can be considered the most compact luggage option at your disposal right now. The advantages of these bags are clear: they are easy to carry around, you always have your hands free to transport other objects, the load weight is distributed evenly on your back, and the cost of the acquisition varies from very low to very high thus offering you as many options as you need. Choosing cool backpacks for teenage guys can prove to be a difficult task, especially when the future user prefers certain design typologies. If you do not want to be outdated, you might want to look at the latest models for sale. Moreover, you need to become familiar with the most important features that characterize cool backpacks for teens. If you do not have the time to do a thorough research and wish to make your choice fast, we have prepared a comprehensive buying guide for you. 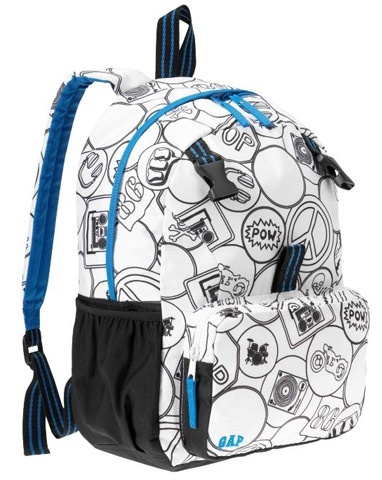 It includes everything you need to know about cool backpacks for teenage guys and girls. Also, it focuses on the essential features and factors that can ensure a wise choice. Browsing through the cool teenage girl backpacks for sale will offer you a general picture of what is out there at your disposal. This buying guide will offer you the inside information you need to search for those features that transform a standard product into one that is worth purchasing. Read it to discover the features that you should keep in mind and compare so that you might choose the best product available for you to purchase right now. The functionality is the feature that reflects the main purpose for which you buy a certain product and helps separate the models at your disposal into many categories. 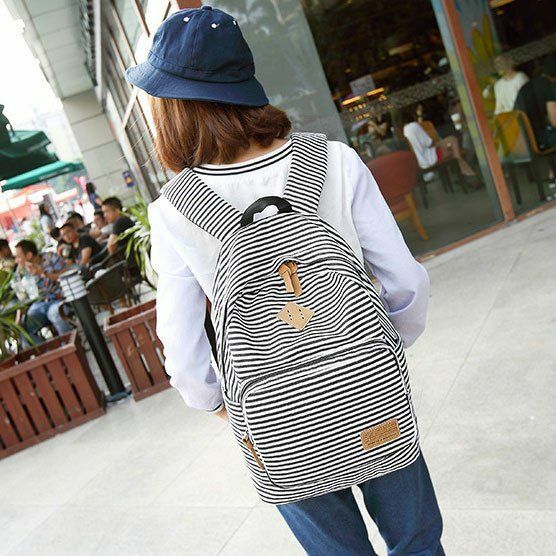 The commercial models of backpacks are divided into several categories: for children and adolescents, including school or kindergarten items and professional products, including hiking, cycling, hunting, military or mountain backpacks. 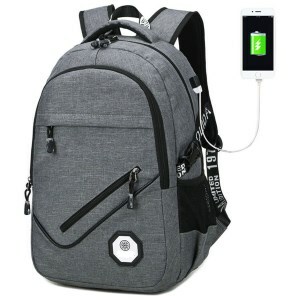 If you need to carry various things that require careful handling, you should buy something that was specially designed for this purpose: laptop backpacks, travel items, picnic or even sports equipment. If you need to carry around the necessary school equipment, you need a cool teenage backpack that will feature all the compartments you need to store and transport everything you need in it. You should know that the best backpack must necessarily be the perfect match for your child’s size and body compliance. 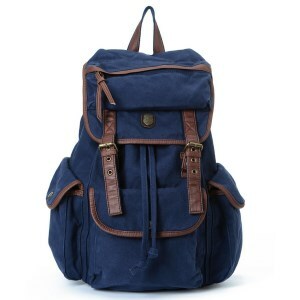 Depending on his height, you will know how to choose the best backpack that he will be able to carry around easily, without too much effort from his part yet be able to carry around in it everything he needs at school. It is important to remember that a wrongly chosen item can cause serious problems with the spine and that this is the main cause of the appearance of scoliosis and other vicious issues with the body posture among teens. Such a health problem is difficult to correct later. Therefore, it is best to know how to choose the right item from the beginning. Moreover, the width of the bag should not exceed the child’s shoulder line. It must have two straps so that the weight might be evenly distributed on the two shoulders. The shoulder straps should be thick and feature an adjustable size. The adjustable size is important because no matter how much you grow, you will be able to adjust the straps to its height. Also, on the side of the backpacks that comes into contact with the child’s back there should be a reinforcement of a thick sponge so that your child might not feel the pressure of the objects placed inside. A sponge against the lumbar region will support the spine better and will not create wounds or any discomfort. The materials used to create the school bag can be a factor that helps you predict how long the new purchase will last. If you choose a sturdy product that features seams which have been especially attached to the tie between the straps and the backpack body, the waterproof fastener will most likely last for several years. Thin fabrics with glued designs usually become deteriorated quickly. Children are not very careful where they leave their backpacks in the classroom or the school yard, so these items will most likely require being washed very often. Another important aspect to be mentioned and which pediatricians constantly take into account when making recommendations is the maximum recommended weight of the school bag. It is preferable for the backpack not to exceed 10% of the child’s weight. This means that if your kid weights 20 kg, then his full-size school bag, prepared for the next day, should not weigh more than 2 kg. When such recommendations are not followed, the child is likely to develop deformations in the spine which lead to issues with his posture over time. The accessories are as important as the fabric used to create the product. We can include in this category elements like the zippers, the stitches, the straps, the buckles as well as the back construction. The zippers used in most backpacks are made of plastic. It is better to avoid the metallic ones because they rust easily and jump from their teeth. Moreover, you should make sure that the zipper spanner is large enough or has a loop of material on it. Open and close all buckles and, in the case of a larger item, be careful to have side straps that help squeeze or widen it. It will help you a lot when you have fewer things in it because it will not cause any clatter sound. In terms of comfort, the back side, the waist, and the belt make all the difference. The back should have as few contact areas as possible and be covered with a breathable material. In addition, in the case of larger backpacks, a height adjustment system for the straps should be considered so that it might perfectly fit your child’s back.